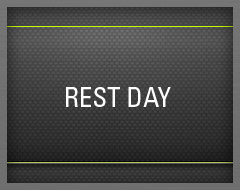 Take a rest day next Monday or go for a walk or run if the weather is kind. Back on as usual for Circuits on Tuesday, after the bank holiday. Enjoy your day off, see you in the gym.